NZ On Screen is funded by NZ On Air, the government agency that allocates broadcasting funding, to provide a showcase of New Zealand film and television. The site went live in 2008 and by 2014 it contained articles about and clips from 1,500 television titles, 250 films and 500 music videos. 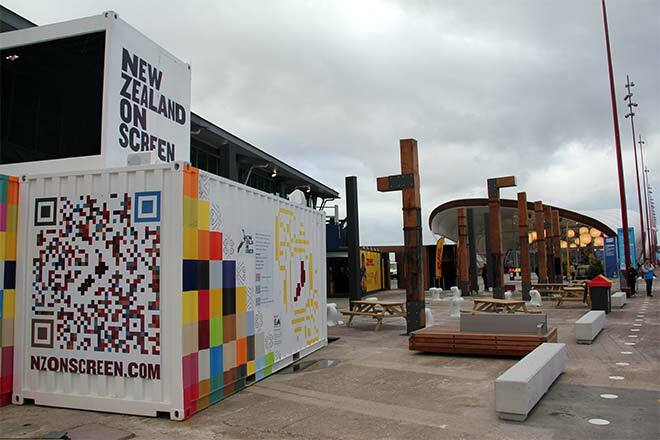 During the 2011 Rugby World Cup NZ on Screen toured the country in a caravan which showed off clips of significant New Zealand film moments. It was a highly popular attraction. The website itself has attracted strong numbers of users and won a number of awards.